Healthy hair starts at the roots. 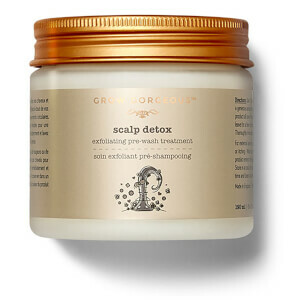 Grow Gorgeous Back Into the Roots 10 Minute Stimulating Scalp Masque (240ml) takes care of business at the ground floor. 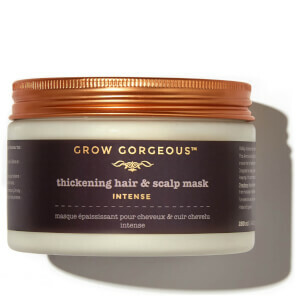 In just ten minutes, this cooling masque will nourish your scalp and stimulate hair growth by boosting circulation. Blending active ingredients burdock root, hyaluronic acid, caffeine and vitamins, this mask has everything you need to keep your scalp feeling refreshed and your hair looking fantastic. The non-greasy, no mess formula gently lifts hair from the roots to give a thick, full-bodied style with incredible bounce. I was a bit skeptikle at first of making a purchase from this site because of reviews that I read, but all of my products came and they came exactly as described/pictured, in a timely manner and undamaged. So I will definitely be buying from them again! As far as the product goes, I've only used it once so far, but noticed a big difference in the look/feel of my hair w/ the first use. I will review again if I notice any changes as far as growth goes! Well packed and it's on time. Supper stuff,Great buy online, first time to try buy online, very good item has shared with all my families will back again!